We have solutions. Whether your need is Financial Forensic Services’ judgment enforcement, or consultation, the trained specialists at Financial Forensic Services will craft a specific strategy for your case. 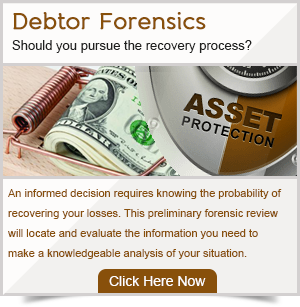 Are you a creditor or lawyer who has won a civil judgment and need help enforcing it? If you answered “yes,” then your team is ready to help! Eighty percent of the civil judgments awarded to creditors are never collected. Financial Forensic Services can help make you one of the twenty percent that is successful! 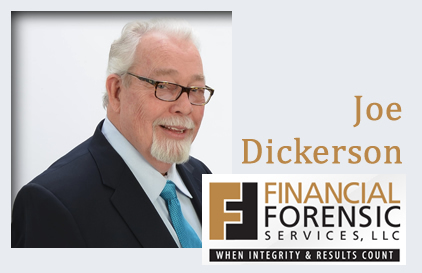 Our team has a combined total of over 100 years of experience in financial forensic research and judgment enforcement services, and we will work with you in a relentless pursuit to enforce your judgment. When it comes to Judgment Enforcement, every minute counts after the judgment has been awarded. With the court order, we can quickly gain access to the debtor’s real estate, computers, bank accounts and business records. 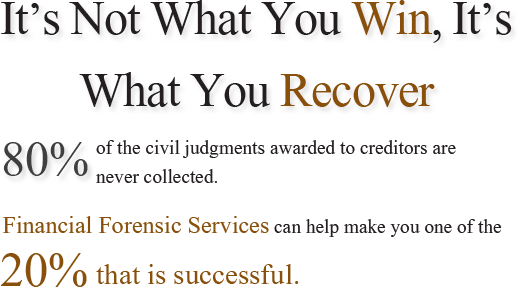 This will allow us to start the process of seizing cash, cars, recreational assets, jewelry, art collections and real property to settle your judgment. 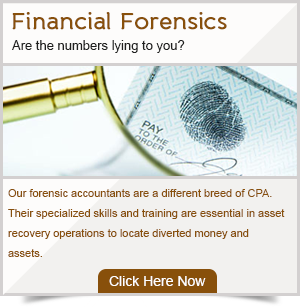 Financial Forensics Services forensic team can track entities and their assets nationally and globally if necessary. Using our modern techniques, decades of experience and international network of fellow professionals we will show you the probable extent of recoverable assets. The court has ruled in your favor, now let us help you collect what is rightly yours. Collecting on a civil judgment isn’t as easy as you might think. We see you all too often. Once a dishonest person has been sued and lost a judgment, they will quickly find clever ways to hide their assets to avoid them from being seized. Without years of experience and knowledge of how people can hide assets, it is possible for you to be tricked into believing that the debtor does not have assets to pay your judgment. Do not be fooled by these schemes and scams to hide money and assets. The process of collecting on a judgment can be a time-consuming and an extremely emotional process. Our services will, at the very least, allow to know if your debtor does not have assets to pay the judgment so you can get on with your life as quickly as possible. Let our team work directly with you and your lawyer to ensure that every effort is made to collect 100% of your judgment amount. Financial Forensics Services investigators can track entities and their assets nationally and globally if necessary. Using our modern techniques, decades of experience and international network of fellow professionals we will show you the probable extent of any recoverable assets. 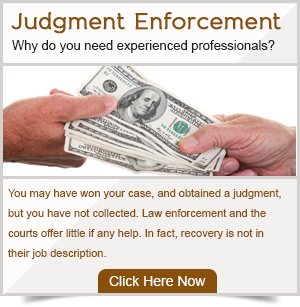 Learn why you need experienced professionals to help you enforce your judgment.